Just a quick post which is apt for a very quick yet delightful book. Having in the past read Hesse’s Demian, The Prodigy, Peter Camenzind and Steppenwolf, I read this novel with the expectation of simple, sweeping prose out of which comes some heavy provocative reflections about the self, and right enough, that’s what I got. Many of Hermann Hesse’s themes in his novels draw upon Eastern religion and spirituality and Siddharta is obviously no exception. The novel traces the spiritual journey of one man, Siddharta (not to be confused with the actual journey of Siddharta Gautama – the Buddha – though they share many crucial similarities), as he discovers who he is. You have learnt nothing through teachings, and so I think, O Illustrious One, that nobody finds salvation through teachings. To nobody, O Illustrious One, can you communicate in words or teachings, what happened to you in the hour of your enlightenment. The teachings of the enlightened Buddha teach much, they teach much – how to live righteously, how to avoid evil. But there is one thing that this clear, worthy instruction does not contain; it does not contain the secret of what the Illustrious One himself experienced – he alone among hundreds and thousands. Hesse suggests that teachings cannot substitute the real experience of achieving enlightenment and emphasises that one has to go out there, make mistakes, and find for one’s self and in one’s own terms where happiness is. For such a short tale, it poses a lot of questions and ambiguities about the self and enlightenment that I think, as Hesse suggests, cannot be achieved by vicariousness of experience, and that the whole point is that you have to find all of this out for yourself… I think? Or maybe I couldn’t fully grasp what was going on. 2deep4me. Despite this, Hesse’s novels always leave me feeling motivated and somewhat awakened and changed without really knowing how or why. 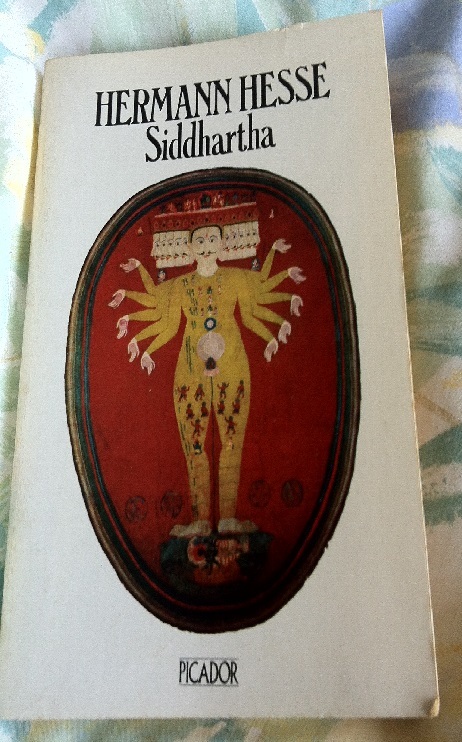 If you have never read any Hesse before, Siddharta is a good starting point, and I think a lot of American schools even use this novel on their syllabus, but I definitely preferred his other novels, Demian and Steppenwolf, purely for the same themes about the self but with better characterisation. This entry was posted in Books and tagged 20th Century Literature, Book Reviews, Books, German Literature, Hermann Hesse, Literature, Siddharta. Bookmark the permalink.